For our younger scientists, celebrating the seasons means picking out special themes that kids love! Snowmen in winter are always popular and our melting snowman baking soda science is always a hit. We like to take classic science activities and show you how you can give them seasonal and holiday twists. You can easily try this fun new science activity with a classroom group or at home! The best part of this snowy winter science experiment is that you don’t need real snow to enjoy it! That means everyone can try it. Plus you have everything you need in the kitchen to get started. 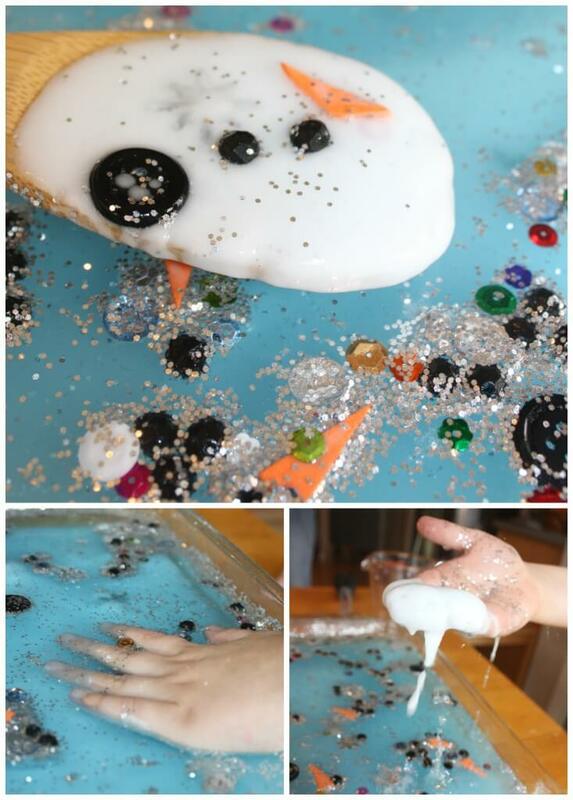 This snowman theme science experiment does have to be prepped ahead of time, but it’s not difficult at all! You can make them in any shape you want. We have even used small paper cups which you will see below. This is a classic science with a seasonal twist. 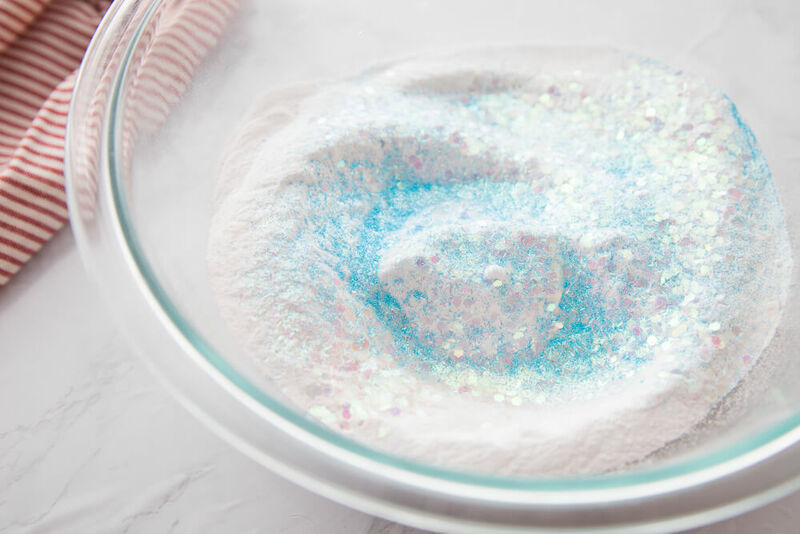 Simple science is our favorite and seasonal theme science is another favorite, whether you love making slime or exploring cool reactions, we have it all. Exploring how polar bears stay warm with blubber science! Creating a Snow Storm in a Jar for a indoor winter blizzard. You will want to make these guys and gals in the morning for afternoon play or in the evening for morning play! 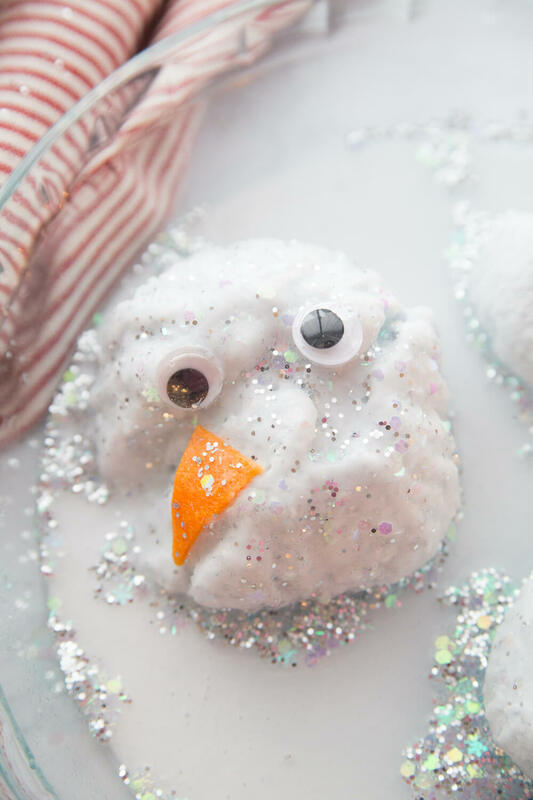 The kids can easily help and mold their own snowmen. See an alternative for using little cups below. Now you can make them into snowballs! You can use plastic cling wrap to help keep the shape if needed. 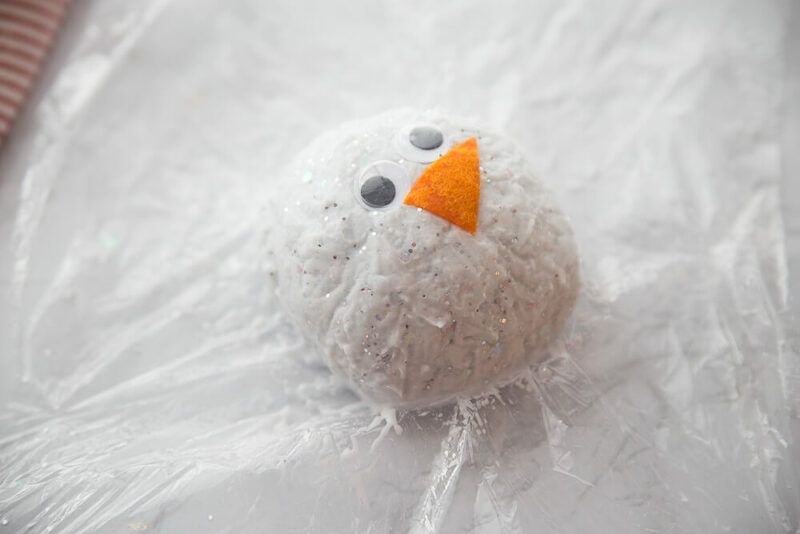 Gently press two beads or google eyes and an orange triangle nose into the snowball for the snowman’s face. You can also mix in buttons and sequins! Place in the freezer for as long as you like. The more frozen the balls, the longer it will take to melt them! Alternatively, you can make these melting snowmen inside small plastic or paper cups as seen below. You can add a face first to the bottom of the cup and then pack the picture in on top of it. Here’s the alternative version using mini cups or even a big cup! It’s another quick and easy way to make a whole team of snowmen! 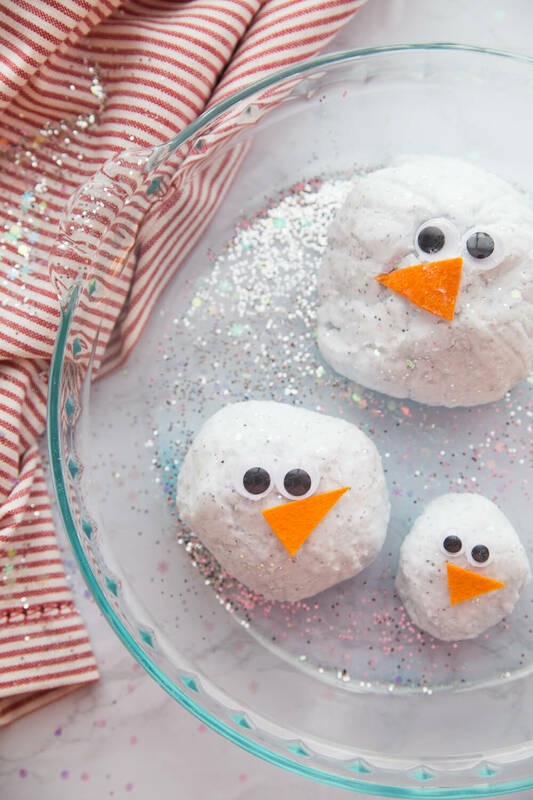 It’s time for the melting, fizzing fun with your baking soda snowmen! Set out your snowman baking soda science activity with a baster, eyedropper, squirt bottle or spoon, and a bowl of vinegar. You will want to make sure to put your snowmen on a tray or dish that will hold the liquid. You can even add a drop of blue food coloring to the vinegar for an icy blue winter look! It made the dish so pretty as the snowmen melted. Of course you can add even more glitter for a festive look! The chemical reaction that occurs between the baking soda and the vinegar produces a gas called carbon dioxide. This happens when a base (baking soda) and an acid (vinegar) mix. There’s bubbling and fizzing you can hear, see, smell, and touch! Explore states of matter with solids, liquids, and gasses! This kind of science experiment is a quick WOW factor experiment that explores the kinetics involved in chemistry, a quick reaction! Also it explores the reaction between a solid and a liquid to produce a gas. You also get to add a fun snowman theme too. That’s what really gets kids excited! You know kids love the novelty of holiday activities ,and we have tons for you to check out for each holiday. At the end, we enjoyed great sensory play with the activity that was left. We talked about the cold vinegar water and the fizziness from the gas that was created. We stirred it for more fizzing action and used our hands to pick up the melting snowmen. 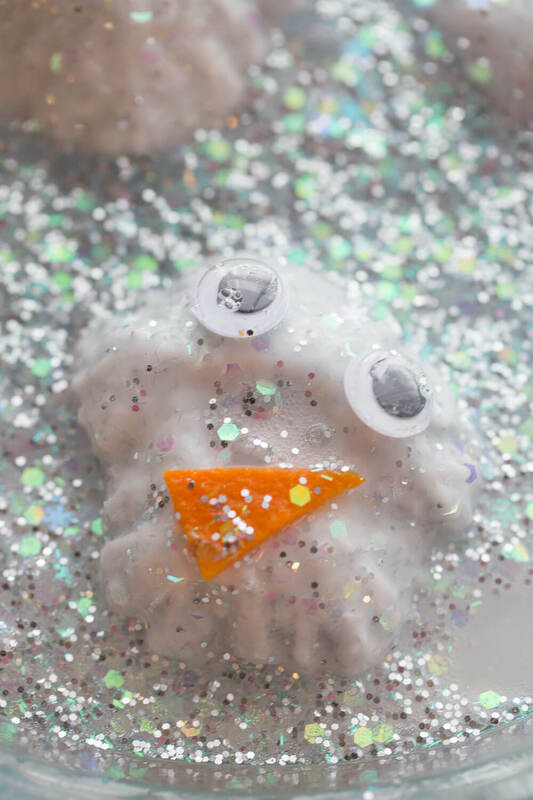 This snowman baking soda science reaction activity makes a great experiment for preschool, kindergarten, and even early elementary science lessons. 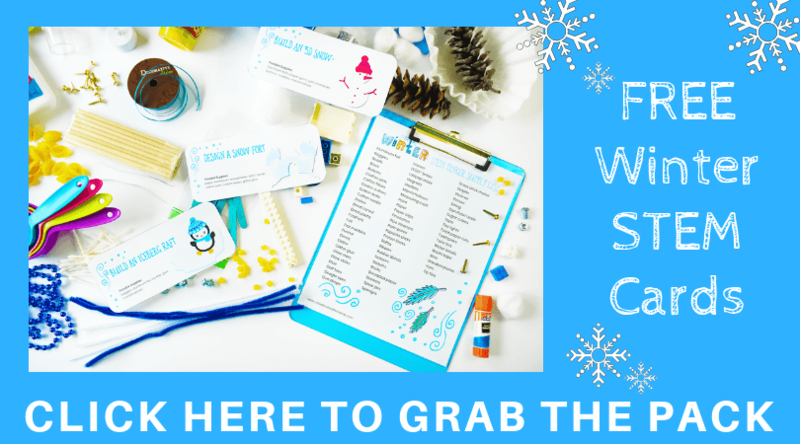 It’s the perfect theme for winter time and will really gets the kids excited to learn more this year! Click on the photos below for more clever science experiments and STEM projects to try this year. I was looking for some kids activities and stopped by here. These activities will be fun with learning for my kids on this winter season. They used to make a snowman with snow. Thanks for sharing!